Congratulations to Brian Niemeier. His novel, Souldancer, the sequel to Nethereal, won the first Dragon Award for Best Horror Novel. Chapter 7: The Shibboleth follows Shan’s coordinates through an asteroid field in search of the weapons cache. Using clues carved into the landscape by the theurg, they arrive at a complex bearing Thera icons. Jaren and Navkin lead a recovery team through the site, but the site has been picked clean. Dejected, the pirates leave the asteroid, sped along by an attack from a bat-like stone monster. Ships in Nethereal require the use of a Wheel, a device that allows a Guild steersman to link his awareness to the ship to control the vessel. As this is an alien experience to a human mind, discipline and will are required to maintain one’s sanity. I’m having a hard time not thinking of space-elves whenever the Gen are mentioned. Chapter 8: The Guild attacks the pirate’s den. After improvising an explosive trap, he makes his escape, harried by Guild Enforcers. The Shibboleth arrives to pick up the survivors and almost kills Teg while providing close air support. On board, Teg and Jaren confront the gunner, who had been swept up in the emotions of the fight. Teg attacks the gunner, but is subdued by a scratch from Navkin’s envenomed blade. Between the empty vault and the Guild raid, Jaren’s plans for a Tharis independent from Guild rule have died. Chapter 9: The Shibboleth arrives at Ambassador’s Island after a long flight from Tharis and the Guild. Jaren intends to use his contacts on the asteroid base to revive his rebellion. While at a station bar waiting for their contact, the pirates and the patrons are sedated by gas. Only Navkin remains awake. The assailants enter the bar. To protect herself, Navkin summons a wolf the size of the bull. It devours her attackers. Before it can continue its rampage and sate itself upon the sleeping pirates, Navkin commands the beast to leave. For the first time, the wolf listens to her. Chapter 10: After the crew wakes up, Jaren browbeats his contact, who sold him out after blackmail from the minister of Tharis, Marshal Malachi. The minister has masterminded the Guild’s pursuit of Jaren as well as the empty cache. Learning that the Guild has arrived in the asteroid’s hanger, Jaren leaves immediately. On their way out, a thin man in black offers them a job to salvage a missing ship. As a sign of good faith, the thin man, Fallon, has already massacred the Guild Enforcers in the hangar. The Shibboleth leaves the station, pursued in a running firefight by four corvettes. Within the ether, an explosive version of hyperspace, the Shibboleth flies too close to an exploding corvette. This chapter ties together all the previous plot threads with the exception of Mordechai’s. In structure, I am seeing potential influence from Chinese storytelling and long form Japanese anime. At the same time, Jaren’s decision to accept the salvage mission is clearly an inciting action in the five act formula. As this could be an essay of its own, let me summarize by saying that Chinese works, from literature to Shaw Brothers cinema, tend to follow a plot event-exploration of consequences-new plot event structure. Longer anime series would often devote the first 2-6 episodes to a hook adventure before developing the main plot arc. 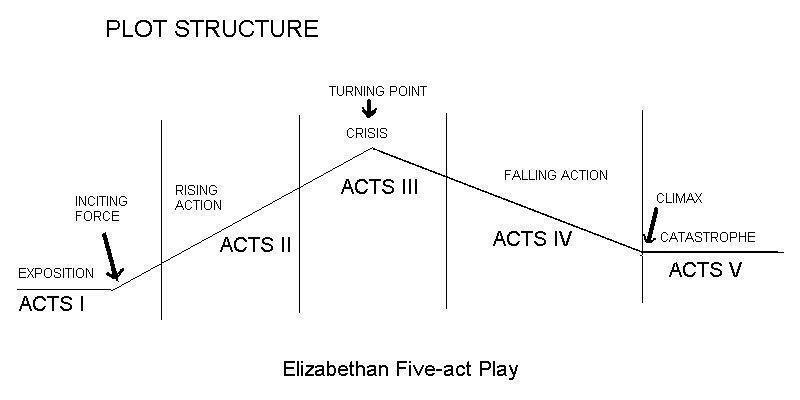 I will likely develop the five act formula in a post devoted to it. At this point in the formula, though, the protagonist makes a decision from which all conflicts in the story flow. The crew discusses the urban legend of the Byport Gouger, a face-slashing monster akin to Jack the Ripper. While not of the Theran mythology, keep this urban myth in mind for the future. Chapter 11: Marshal Malachi reviews the progress of the Peregrine chase. He deems the losses in personnel and ships acceptable. After a discussion of philosophy and Guild magic, he puts further plans in motion. and competence, like a proper Machiavellian. Chapter 12: The Shibboleth assess their damage. Their Wheel is beyond repair, but the ship can limp along on backup systems. Worried by strange dreams of an unknown temple, Jaren resolves to complete the salvage. The Shibboleth finds the freighter, locked in an embrace with a derelict Guild corvette. They recover a strange cargo of living stone cubes from the hold. Could this be Mordechai’s freighter? For once, Jaren dreams of more than the mission and revenge. A golden city with architecture unlike anything seen in the universe haunts him. Despite its splendor, the city is empty, similar to another city of vacant halls and strange temples. In Guild magic, inanimate objects are worked, while living objects receive glamers. This distinction is important, as the strange stones in the freighter’s hold only accept glamers. Chapter 13: Marshal Malachi tours the shipyards where the lead vessel of a new class of warships, the Serapis, is under construction. Meanwhile, the Shibboleth limps into the port of Concordia. After great difficulty in selling the salvaged stones, a fat broker approaches Jaren with a million guilder offer for the cargo…and continued employment. The Nethereal universe is in dire straits. Not only have the gods abandoned it, mass extinctions and desertification of worlds run rampant. Despite the Guild’s reassurances, many link the loss of life to the continued emptying of the White Well, a reservoir of magical energy called prana, which the Guild uses to fuel both space travel and Workings. The Gen worshipped the White Well as a god. How this dying god may or may not be linked to the dying and transforming gods of Zadok and Thera is yet unknown. Speaking of the Gen, the Guild rated them as better mages than humans. Marshal Malachi states that this was reason enough to kill off the Gen. The Serapis immediately recalls the naval duel with Captain John Paul Jones, of “I have not yet begun to fight” fame. After capture, the original Serapis was converted into a privateer and later lost. Serapis is also the name of a Greek and Egyptian god of the underworld. We’ll see how significant a naming choice this may be. I am impressed on how Nethereal avoids the dreaded exposition dump. Other authors have spent entire chapters setting up worldbuilding, or worse, brought the plot to a screening halt to provide key information to the reader. Nethereal uses a more metered approach, by stretching out explanations over the course of chapters, introducing new facts only when pertinent to the story without disrupting the action. And, in a tale that has already had thievery, murder, assassinations, dungeon crawls, police raids, running gun fights between ships, and kidnapping attempts before the main plot kicks into gear, there’s a lot of action. And the metered approach only adds to the mystery of the tale. Random thoughts: You picked up on the Gen as Space Elves thing a lot quicker than me. It wasn't until later in the book, somewhere around the mid-point of the journey through hell, that it clicked for me. As for the exposition dump...not to disagree, but this universe is so unlike any that I've read, it has so many new ideas linked together in surprising ways, that it took me a good third of the book to really get comfortable in the setting. This is one series where I would like to have read a short story to get familiar with some of the key concepts of the setting before diving into a complicated book like Nethereal.